The beauty world is always discovering new buzz words to sell their products more quickly, and unfortunately the most recent fix seems to be plastering the word organic on the label. However, since the term is not regulated in the health and beauty industry like it is for food and beverages, what you think is free from nasties may not actually be what it says it is on the packaging! When items from Boots, Tarte, Liz Earle, Korres, Coola, Aloe Pura, Rituals, and others slap the word organic onto a label, the everyday consumer assumes this means the product is better for you -- it is clean, it is green, it is great! Right??? Unfortunately, most of these brands included only a single ingredient derived from organic farming, and took advantage of the surge in demand for natural and organic cosmetics. Even worse are the names that imply their range all contains organic ingredients (*ahem* Dr Organics) while actually being part of the greenwashing problem! While some have changed their tune after being called out for false advertising (Jason being one of note! ), others have simply switched things up enough to be able to avoid further controversy (like Organix changing their name to Ogx -- you are still not fooling us!). So what does 'organic' even mean?? Well, it is entirely up to the consumer to decide unfortunately. There are certification bodies, but it is honestly a bit of a mess at the moment, as there are both internationally recognized bodies like COSMOS along with individual country's own certifications. And guess what -- they all have different rules, regulations, and standards for what it means to be organic. Frustrated? Confused? I was too, don't worry! I had a look through some of my cupboards, and in just five minutes found eight different labels all stating in one way or another to be organic. 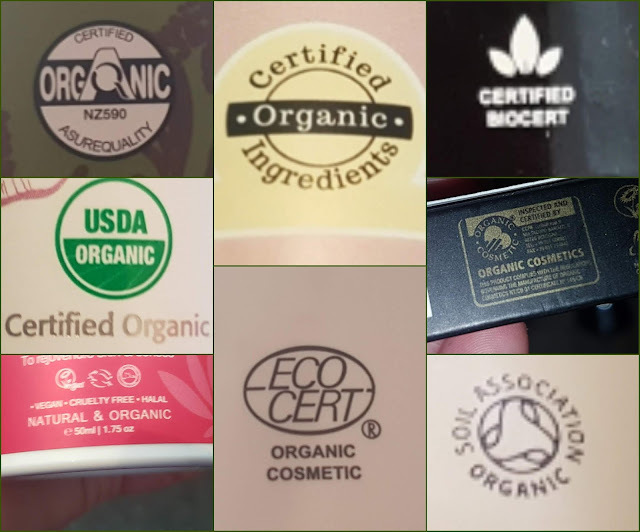 Some logos are from accredited agencies while some are vague descriptions, but each one makes claims about the product's status as organic. But what about those general statements about being organic? Are those lies? Well, for my stash the claims do seem to be genuine after doing some searching, though it is incredibly hard to tell without the seal of approval. Some brands do opt out of getting certified as the process is lengthy, costly, and can run into complication due to certain ingredients falling into another assessment category or certification body. Yet, their product ingredients can still indeed be organic if obtained from suppliers who ARE regulated. Most of these businesses are run on trust and are very transparent about where they gather their ingredients and how they are then processed. See what I mean by it being up to you to decide what you are looking for when it comes to buying organic? It does not have to be super complicated though. Just be sure to check the ingredient label before buying and you should be set. If a product claims to be organic and the INCI does not reflect this, RUN. And if you want to be extra safe and have an easier way of figuring out which brands are good to go, look out for the most common logos which are from COSMOS, Soil Association, USDA Certified Organic, EcoCert, and NaTrue. But be aware that many of these labels can show a product's all natural content OR organic content. Most will state which type they fit into, but when in doubt, hop online as most of these certifications have a complete listing of the brands they have approved for organic status with a quick and easy check! It is also important to point out that some businesses that are operated outside of North America and Europe will use their own systems (like Australia's OFC and AsureQuality!). If you are ever unsure, just do a quick search or have a look on the brand's site -- if they do not link to any certification bodies after claiming organic status, you know to do some more digging! This all seems like a lot, so to get you started (or to keep you going!) I wanted to share a sampling of some of my tried and true organic brands and products! 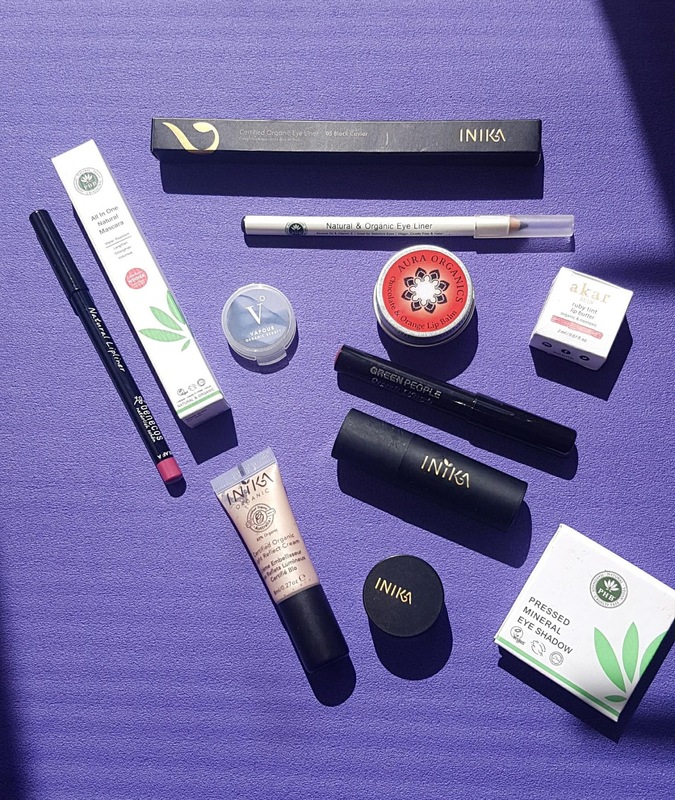 For makeup I tend to go for Inika and PHB for a lot of options because they have such a wide range to choose from. Remember my full face attempt? I was able to order all of the products for that from one place -- so convenient! Any brand that offers a variety of products or that is a one stop shop I am so there for. PHB's pressed eyeshadows, mineral foundation, mascara, and eyeliner are probably my favourites from their cosmetics line, and for Inika it is all about the lipstick (though as you can see I also love their other items!). I have also recently discovered Akar Skin and Aura Organics, both of which have lovely lip balms -- the one from Akar is especially nice as it is tinted! While neither of these brands are certified (at least that I could find), their ingredient labels are packed with organic ingredients, and they have both earned my trust. For those of you looking to keep a tight budget, Benecos and Green People are ones to look into, as neither break the bank and both have such high quality stuff! I love pairing the Green People lip crayon with the Benecos lip liner as they compliment each other perfectly. They also have some great eyeshadows, blusher, and mascara, plus so much more I haven't even tried out yet. Vapour is one I haven't tried too much of yet as it was a bit tricky to get my hands on anything until recently. However, their highlight is seriously magical, and while not entirely organic, it has the minimum 70%. If you are struggling to find an organic glow, this could be the one! 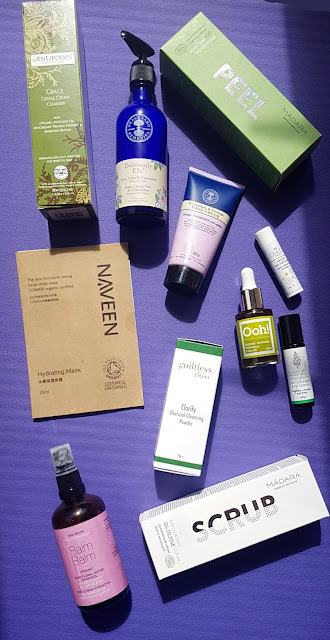 I have so many go to organic skincare brands it was hard to narrow it down to just a few! Antipodes is one of my newest loves, and I can vouch for their cleanser and eye cream so far. They are certified by one of the Australian agencies I mentioned, and like many of my favourites, have no plastic involved in their packaging. The other new additions to my skincare family are Alexa Sky Botanicals, which contains primarily organic ingredients, and Guiltless Skin, a Soil Association/COSMOS certified brand that has blown me away. Right now Guiltless Skin have face oils, cleansers, serums, and body butters, and I cannot wait to see what else they release in the future. The charcoal cleansing powder is so unique, and it has really been helping my skin since starting using it last week. And the eye serum from ASB is truly something else -- I love the rollerball application method and it has been helping me look awake and not destroyed despite not sleeping much. A great budget brand that is also amazing quality is Balm Balm -- I have almost their entire catalog of products at this point, and not one has a fault (well... other than smell for some of them!). I use their rose hydrosol daily, and adore their face oil, bath oil, perfume, and more. They also have a fragrance free option for a lot of their items, so it is very inclusive for all skin types and needs. Plus they have a great choice of samples to pick from so you can try before you buy the full size. Okko is another organic brand with generous sample sizes -- I love their foot balm and face balm sticks, and find they are good for other uses as well (like cuticles and dry patches on elbows!). If you need a handy size for travelling, this is one to look up. Two other long time loves of mine are Madara and Ooh! Oils of Heaven. I first discovered both of these in Love Lula Beauty Boxes, and I have been lucky enough to try loads in their range. I especially like the scrub and peel mask from Madara, as both are gentle enough for my sensitive skin, and the avocado oil from Ooh! as it is a perfect multitasker. I tend to use it in my hair most often, but it can be used on the face, body, or bath too! If you are looking for an organic range that spans all beauty categories from bath oil to lip gloss, Neal's Yard Remedies is probably your best bet. NYR is a Soil Association certified brand that has staples offered online at Love Lula and other online retailers, but also smaller batch products in their physical shops. They have been making waves in the UK thanks to their high quality items and high end look, and have even collabed with Deliciously Ella to create some gorgeous smelling items that combine Ella's favourite ingredients (rose and lime). Definitely a name to check out if you haven't already! I feel like I can't do a post about organic brands without mentioning Naveen, another SA certified skincare range that created the first sustainable and all natural sheet mask. Naveen is a Taiwanese business that focuses on creating effective products that don't skimp on ingredient quality. They are preservative free, contain no nasties, and are -- you guessed it -- organic. If you like sheet masks but haven't found any safe, nontoxic options, this is the one for you. Again, I have to say how tricky it was to limit what I was going to show all you eco-beauties to just a few organic brands. There are so many amazing options out there, both certified and without a seal of approval, so I highly recommend just browsing your local shops or favourite online retailer to explore what is available. This is how I discovered Willow Organic Beauty, and I would be so sad knowing I skipped over such a lovely bath oil. The Jasmine & Geranium oil is 100% organic, and it smells gorgeous and makes my skin feel so silky. The next few are all names I discovered through various beauty boxes, and I am so happy to have found them. 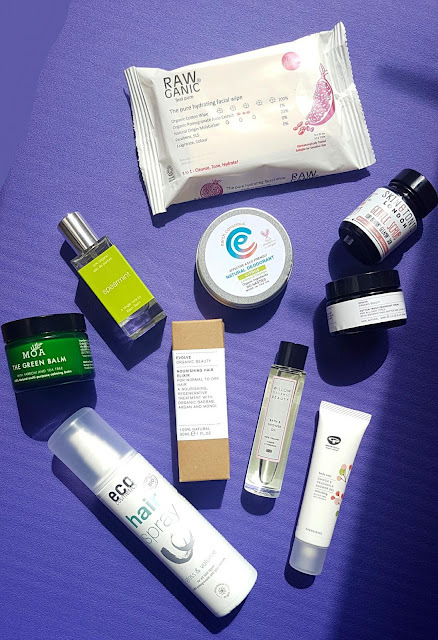 Evolve has so many to choose from - the hair oil is fantastic, deodorant is super effective, and the samples I have tried of their moisturizer and face mask have been brilliant. I haven't had any issues with the items I have tried from Evolve, and will keep exploring what they have to offer! Rawganic make plastic free organic face wipes that cleanse, tone, and hydrate all in one, and I can't imagine being without them at this point. And Earth Conscious I recently got in a Low Tox Box (full review is on its way!!) and I couldn't be more happy with it. MOA is probably my best find through a subscription, as I seriously LOVE everything they make. Their green balm is a true multi-tasker, as I use it for removing my eye makeup, sorting out cuts and scrapes, moisturizing my cuticles, and occasionally oil cleansing. This is another one that is not officially recognized, but every ingredient on the list is certified organic. I have recently started using some Skin & Tonic products as well which are approved by the Soil Association -- I can't get enough of the Gentle Scrub and look forward to using it in the shower twice a week every week. 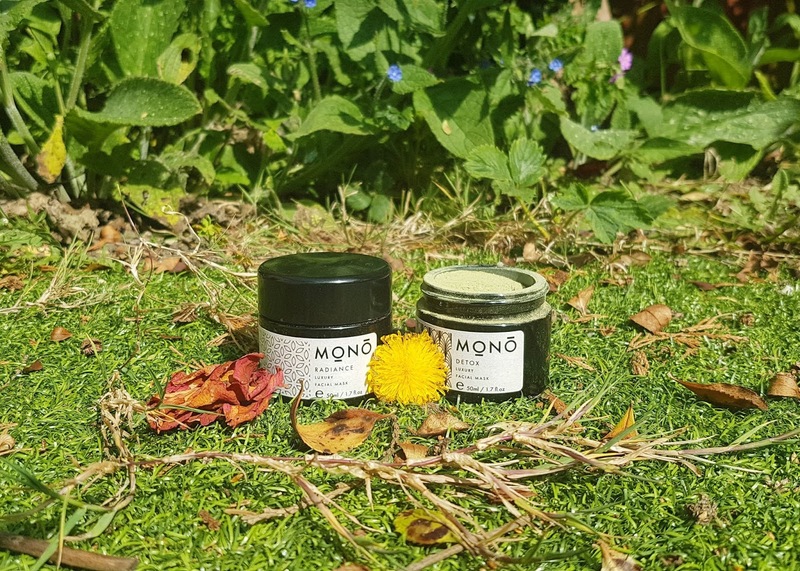 They also do lip balms, face masks, mists, and oils, so there is a whole organic skincare routine ready and waiting for you! And if you need some hair styling options for after your skin is all pampered, EcoCosmetics has got you covered! Their hair spray contains a total of 93% organic ingredients, and is actually really affordable! I hope this post has helped sort out the 'organic' label confusion at least a little bit, and that you will find hunting down your favourite organic brand easier in the future! 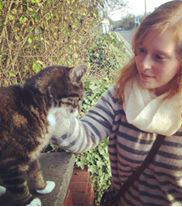 I know it took me a while to learn the ropes, and to be honest, I am still finding out more information all the time. Like all things to do with living a greener lifestyle, it takes time and it is a continuous process. And hopefully we can look forward to further legislation that more concretely determines what is/isn't organic and how the term can be used in marketing! Wow. This was very eye-opening. I had no idea that the regulations surrounding labelling of organic aren't as strict with beauty as they are with food and drink. I'll be checking my labels and ingredients lists more thoroughly from now on and checking out the trusted brands. Balm Balm looks like a fantastic brand, I'm going to look in to those. I do find all the labelling very unclear, I wish there was a standard that everyone had to use. Thanks for your clear explanation on what organic means, there are so many brands our there and different one perceives the word organic in a different manner. How confusing, glad you cleared it up.